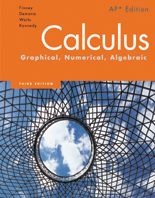 Nationally recognized author team with years of experience and expertise in the teaching of both precalculus and calculus. Additional coverage of topics that students are likely to struggle with. Shorter sections to accommodate the class period length. 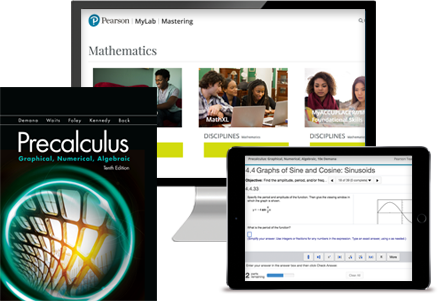 Extensive resources for new and experienced instructors. Perfect balance of graphical and algebraic representation. Applications integrated throughout the text. Examples and exercises for all levels of students. 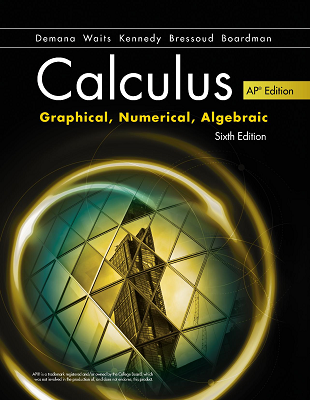 The Twelve Basic Functions are emphasized throughout the book as a major theme and focus. 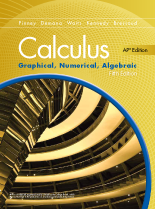 Ideal predecessor to Calculus: Graphical, Numerical, Algebraic, 4th Edition.